We’re all familiar with the love and hate relationship we have with Black Friday. Consumers and businesses both benefit massively from this time of the year. The fact that it tails Thanksgiving with Cyber Monday after makes it that much better. With Black Friday approaching with all its hot deals, the frenzied stampede of people that raging stores is where the hate comes in. Businesses prep for this day all year long with tons of marketing, pre-sales, and stronger websites for online shoppers. Why is online shopping better on Black Friday 2018? Black Friday death toll and injuries are on the rise with 10 deaths and over 100 injuries throughout the last decade. For example, Walmart witnessed its biggest Black Friday violence in 2011 with violence reports in its stores and a website crash. 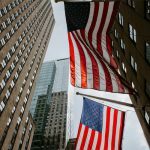 Fortune mentioned that last year, 10 million Americans chose to shop online than in stores for the Black Friday weekend. A lot of retailers like Target, BestBuy pushed their online game for higher sales revenue. Amazon, the number one, online competition offers prime members an early peek to the Black Friday offers. This doesn’t have to mean better prices than others but it is a tempting option to consider. Online shopping sales were over $5 billion on Black Friday and Cyber Monday exceeding sales from physical stores. It comes with a lot of benefits and even better deals. You don’t need to wait in endless cashier lines. No longer fight over products that’ll go out of stock. Wait for hours on opening day to get in early. Get pushed, shoved, or injured as you shop. How to Avoid Black Friday Violence? 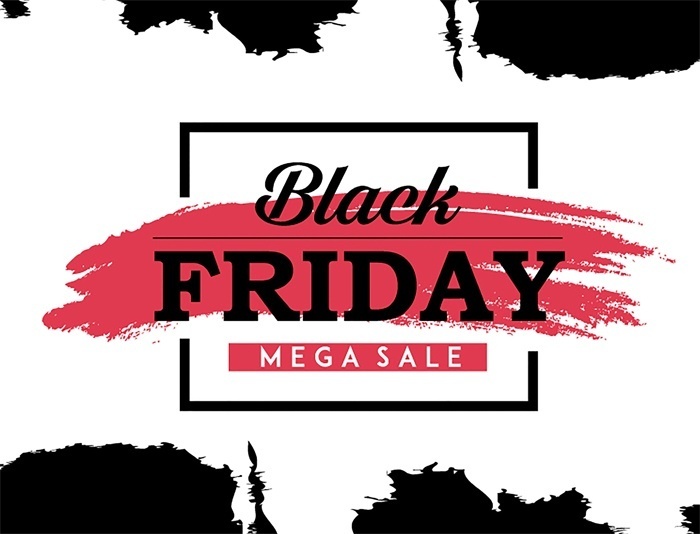 Many people believe that all the great deals are restricted to Black Friday which isn’t true. A lot of stores have pre-sales for that week and better offers on Thanksgiving that last all week long. This way you can start your shopping spree at the beginning of the week! And on Cyber Monday (after the Black Friday weekend) most of the hot offers are online. 2. Beware of Fake Sellers! With Thanksgiving, Black Friday, Cyber Monday and Christmas all flying in quickly, online shopping is at its peak. With how crowded shopping centers are during the holidays, a growing portion of people would avoid this by shopping online. And so, spam and fake ads pop up a lot and shabby vendors increase. The FBI’s Internet Crime Complaint Center (IC3) stated that from 2009 to 2014 there was a loss of $20 million due to fake online purchases. Yes, that’s a big number which means we need to be careful with online shopping. As you shop, be sure to shop from reputable, well-known retailers like Amazon, Target, BestBuy, Walmart, and so on. And if it’s not a common retailer, check their credibility with the Better Business Bureau at bbb.org. Being stuck at home, waiting for your mail and packages with all the online shopping done in the holidays is the worst. You want to visit family or go on vacation yet still get all your online purchases. With a virtual post box, you can get your mail and packages at any time, wherever you are. Your mail is sent to secured facilities and you’ll get instant notifications with new mail. This way you don’t need to worry about your packages being snatched from your doorstep. 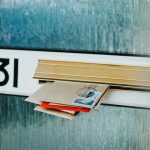 Mail theft has doubled in the holidays because of increased online shopping. Don’t risk having your packages stolen, send them to state-of-the-art facilities to handle. You can run errands or go on vacation, no need to be home all the time waiting for your mail. 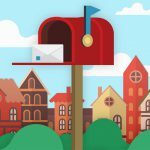 You can log into your mailbox online and choose how to handle the mail piece or package. You can open & scan, shred and recycle, forward, or store. Get your important bills scanned and shredded and forward all your purchases to you! And if you aren’t home? Forward it to any address or have your mail provider hold your package until you get home. 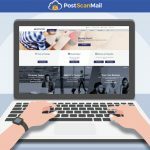 PostScan Mail offers a competitive price for your virtual mailbox. If this isn’t the time to do it, I don’t know when is! The best part about online shopping is that you don’t need to leave your couch to do it. You can shop at any time without needing to stand in long lines, be shoved through the doors, or fight for anything! Online, your options are endless. You can compare between prices until you find the best deals and you have a huge variety of brands to choose from. You’re not just limited to one store with a few options, which is the case if you decide to go out and shop on Black Friday. By following these few tips, it’s guaranteed you will check off everything you wanted from your list and not overspend your budget. So get your high-tech mailbox, prepare your list, and have a happy shopping! Get free guide for the benefits of accessing postal mail online. 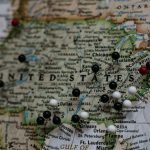 How to Get a Physical Mailing Address? 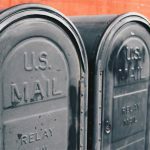 How to Rent a Mailbox with a Street Address? How Can Foreigner Have a US Bank Account? 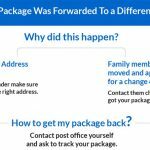 Your USPS Package Was Forwarded To A Different Address: Now What?